At the law firm of Smith Jadin Johnson, PLLC, our accomplished team of attorneys helps clients navigate property insurance claims and construction defect disputes. From our office in Bloomington, Minnesota, we accept clients from surrounding communities and states. MoreAt the law firm of Smith Jadin Johnson, PLLC, our accomplished team of attorneys helps clients navigate property insurance claims and construction defect disputes. From our office in Bloomington, Minnesota, we accept clients from surrounding communities and states. We are a boutique law firm with a team of lawyers who bring more than 40 years of combined experience to each case. Our firm's size allows us to enhance our exceptional legal skill with a high level of personal service. We offer a client experience that sets our firm apart. If you filed an insurance recovery claim because of fire damage or storm damage, and your insurance carrier denied your claim or disputed your coverage, call us. Whether you are a residential homeowner, a commercial property owner or farmland owner, we can review your policy and help you secure the coverage you are entitled to receive. Our law firm is uniquely suited to guide you in navigating the complexities of this process because each of our attorneys formerly worked for insurance companies. We understand the unique concerns of each type of property owner. We provide honest assessments of property insurance claims and guide clients through each step of process, addressing all questions that arise. In addition, we offer sophisticated representation for construction defect litigation arising over water intrusion, design defects, structural damage and more. We have taken construction defect cases to trial, resulting in our team obtaining favorable settlements for clients. 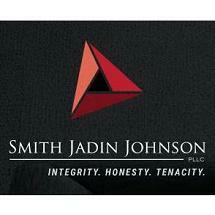 Experience the Smith Jadin Johnson, PLLC, difference.